Casting Call Club : Animal Fighter Manga Dub: Remaining Characters to be Auditioned. Casting Call for Animal Fighter Manga Dub: Remaining Characters to be Auditioned. Animal Fighter Manga Dub: Remaining Characters to be Auditioned. About Animal Fighter Manga Dub: Remaining Characters to be Auditioned. NOTE: There was empty slots for the roles in the previous casting call, so I made this one for people who want to audition for characters that haven't been auditioned yet. Please audition for them if you can, as I am starting the manga very soon. 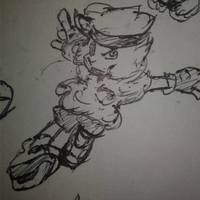 This casting call is for a project I'm currently working on called Animal Fighter. So, what is this Animal Fighter you speak of? 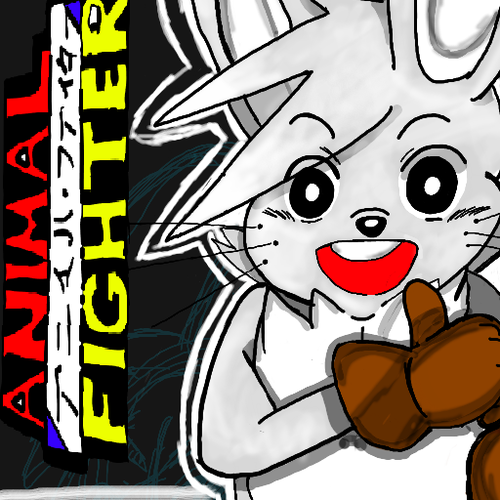 Animal Fighter is an upcoming manga/anime I'm working on over the summer. I will also be making a manga dub when all necessary pages are published. Oh! That's cool! What's the plot? 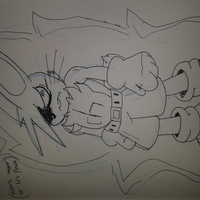 The story of this series focuses on a young rabbit named Xeta, who one day wishes to become the world's strongest animal fighter. In the first arc, these characters go to fighting school where they learn how to fight and train to become Animal Fighters to protect the world, should it ever go under crisis by a possible threat. Xeta, being pumped up as he is, applies and attend said school, followed by his close friend, Tempo. Throughout the first arc, the students learn basic steps of fighting, as well as learning how to tap into their hidden powers called Bunko, which are special powers each fighter grasp. (For example: Later in the first arc, Xeta learns a bunko called Janjingon(JAN-JIN- GON), a bunko that accompanies Xeta with attacks based off his energy. Think of Bunkos as Quirks from My Hero Academia.) After training is done and each student got used to the basics, all students have to take part of a tournament exam, which is required to graduate fighting school. Xeta is one, if not, the weakest student in the school and is classified as an underdog by his classmates at the beginning of the arc, but as the series progresses, he gets stronger and learn new things. The second arc consist of Xeta and Co. fighting against the Hornet clan, a group of terrorists who's sole purpose is to follow commands of their queen, Hornetta. 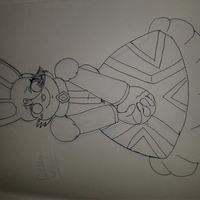 Hornetta's goal is to wipe out the entire planet she deems "ugly", and construct a new one with her set of rules and ideals. It is up to Xeta and his friends to stop Hornetta's insane plan and put her and the Hornet clan down for good. PURE AWESOME!! I want in! But... are there any requirements? -A good mic with no background noise. If you're a voice actor or actress, you don't wanna accidentally record lines with any background noise. Audio that's clean is crucial! -You must have a Discord or Skype. It's easier for me and the group to talk about any ideas for the comic/anime, not to mention it's more easier to send me voice over work. I will be making a Discord and possibly even a Skype server called SkySoft Productions. The server in question is where the project takes place. Got it! This shouldn't be so hard. Is there any other things this project needs? Like jobs or something? Yes actually, but only of the animated series. 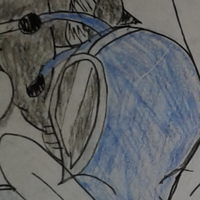 I only need animators, storyboarders, additional script writers and people that are good with making music(Optional). If you're skilled in any of those fields mentioned or skilled at all of them, don't be afraid to contact me. Any help is extra appreciated. Understood. Oh! I forgot to ask, how long is this project anyway? Animal Fighter is expected to have only 2 seasons in each installment, complete with at least 13 episodes a pop. The time length for each episode is 30 minutes at best with intermissions too. It'll most likely change however if the work load is too much. As far as the manga, 6-7 chapters? I'm still trying to figure that out. ^^; Both are expected to be completed before next summer. Nope. Well, other than the fact that everything is free of charge, I think that's all there is to it. If you have any other questions about the project, I'll make sure to answer them. Have fun! a young rabbit that lives in a small village named Izuku with his mother and little sister. His most prized dream is to become the world's strongest Animal Fighter. He attends fighting school, a school where students learn how to fight and hone their skills. In the beginning, Xeta's the underdog of his class and is the weakest too. Later in the manga, he gets stronger by intense training, and eventually acheives his own Bunko called the Janjingon(JAN-JIN-GON), which he acquires later down the road. Personality: enthusiastic, determined yet cocky at times, always ready to fight. For Xeta's voice, I was hoping for him to have a kid voice. Something similar to this: https://www.youtube.com/watch?v=TYAUTef74ek. Skip to 2:12 for the voice in question. A voice actress can audition for this role too. *Also keep in mind, Xeta is a pun of the word "Zeta". Both sound and pronounced quite similar. Hey! My name is Xeta, Xeta Usagi! And my dream is to become the world's strongest Animal Fighter! Yo! You look pretty strong, wanna spar? (Nervous) *laughs* Sorry guys, but... my mom said I'm not allowed to hit girls. This is Xeta's evil form for when he's in intense anger. Provide any evil voice from this form of him. Hehehe, what's the matter? Cat got your tongue? A young sheep who lives with his wolf uncle since his mother passed away and his father been sent to the great war alongside Xeta's father and the other past generation of Animal Fighters against the hornet clan, just when he was a kid. 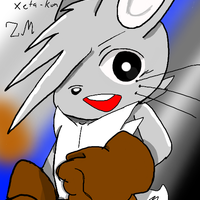 And speaking of Xeta, him and Tempo are childhood friends, kinda like brothers. They go way back. Tempo's technique lies within his closed eyes, which opens every time he's engaged in combat. Once he taps into his technique, the results are devastating. Give any voice and/or accent to this dude. As long as it doesn't sound deep. Yo! The name's Tempo Alpacez. How's it going? (Snarky) Heh, think you can keep up with me? (Angry) Ah Xeta! You gotta be freaking kidding me! This is a tournament for crying out loud! You know that rule doesn't apply here, so quit playing dumb and fight Queens already! Queens and her family came from a long line of ancestors who were massively wealthy. Her mother, father, her twin brother and even herself are stinking rich! She's known for using cards as her weapons with a help of her bunko: Black Magic. Her cards vary from either explosive ones, sharp ones that can chop even the heftiest of trees, and even ones that can make countless clones of her. Her favorite classmate to make fun of is Xeta, though rumor has it that she's a tsundere towards him because of the fact that she might have a potential crush on him... I guess you can say it's a cover up for her true feelings towards him...? Personality: Sassy, stubborn at times, sly. Her voice has a sassy and childlike tone to it. (Expresses anger and embarrassment) Hmph! Don't get the wrong idea Xeta! I-it's not like I like you or anything... y-you minority! Vicke is one of the fighting school's assistants. She's smart, determined, hard working and is sort of a sister figure towards the students, even Xeta and his friends. Her bunko is called Vulcan, which is a power that's based on her kicking skills. Vicke's voice should have an accent that is a mix between English and British. Her tone should be mid-high, yet mature. Hi! My name is Vicke! I'm one of the assistants of the fighting school. How may I help you? (Looking through some sort of list) Let's see... Xeta Usagi... Ah, Here you are! Hmm.. It seems like you're a bit late for submission.. Any reason as to why? I see... Well no worries! I'll disregard your lateness and sign you up. Just put your signature here, and... there! You're all set! Here's your battle-vice. Oh? You don't know what a battle-vice is? It's a device that keeps track on your points, assignments and etc. Please do take good care of it. Heh. Y'know, there's more to me than just being an assistant. My blistering kicks is enough to shatter even the toughest of alloy! She is Xeta's mother. Her personality is determined, yet shy. Her voice should sound mature and motherly. Go get 'em, my little Xeta-kun! (Bawling) Waaaaaaaah, my little Xeta-kun's growing up! Leader of a group called the Hornet clan, which are terrorists who's sole purpose is to follow the commands of their queen, who is the main antagonist of Animal Fighter. This guy is straight ruthless, insane, quirky and is also a mad scientist. Any evil voice for this guy will do. Grraah! Damn you, you little rabbit prick! Next time we meet, I won't go easy!! I hope those spandex wearing brutes finish you off!! Huh?! Y-yes your majesty! I'll be sure to eradicate those who oppose us! Even if it takes our lives..! Let me make this easier for you, kid: Give me that Battle-vice of yours, and maybe I'll let you off scott-free. However, if you say otherwise, then me and my men will have no choice but to kill you! What would it be in this ultimatum? Your device or your life?! 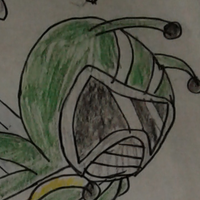 Leader of the Mighty Hornets, who are a group of teen supervillains who fight for "justice". All six of them fight the Animal Fighter crew. His voice should sound like he's a leader. 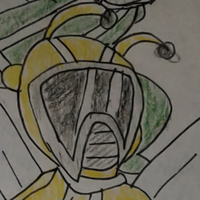 The brawn of the Mighty Hornets, who are a group of teen supervillains who fight for "justice". All six of them fight the Animal Fighter crew. His voice should sound gruff and tough! 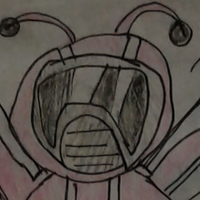 The smart girl of the Mighty Hornets, who are a group of teen supervillains who fight for "justice". All six of them fight the Animal Fighter crew. Her voice should sound determined. The speedster of the Mighty Hornets, who are a group of teen supervillains who fight for "justice". All six of them fight the Animal Fighter crew. His voice should have a cocky attitude to it. Similar to that of your typical fast character, like Sonic the Hedgehog. 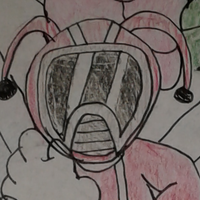 The cute and cheerful one of the Mighty Hornets, who are a group of teen supervillains who fight for "justice". All six of them fight the Animal Fighter crew. The thing when it comes to this Mighty Hornet is that although she may be cute and innocent on the outside, on the inside she's a sadist and can be deadly while keeping an innocent face. Her voice should be cute and energetic, while at certain parts where her personality changes, sadistic. Hornetta's true form. She loses all sanity and becomes this buff monstrosity. This is her strongest form. A male or female can voice this one. Her voice in this form sounds monstrous and scary. Think of her voice as Imperfect Cell's voice when he's in his 2nd form. A male actor could voice this form too. At last, my transformation is complete. For the last few moments of your depressing life, you shall refer to me as... Perfect Hornetta! I DO wanna ask you one question though, Xeta Usagi, does a mere child like you experience true fear? (Intense Anger) No.. No! NOOOOO!!!! I WILL NOT STAND BEING DEFEATED BY AN INSOLENT CHILD LIKE YOU!! YOU HEAR ME?!! I AM THE GREAT QUEEN HORNETTA!! I AM PURE SUPREME!! I AM BEAUTIFUL!!!! I WILL NOT ALLOW YOU TO RUIN MY DREAM OF BUILDING AN ELEGANT EMPIRE!! DO YOU HEAR ME?!?! This place..... (maniacal laughter).... SHALL BECOME YOUR GRAVE!! These guys are just everyday people/villagers of Animal Fighter. Anyone can audition for this one. (Male) T-the moon! D-did it just blow up...?! A young duckling who's the son of Xeta's father's mentor. Ever since his and Xeta's father never came back from the great war, Danger has been living with Xeta and his family. His voice is the annoying type, as he known to bother and boss people around, presumably Xeta. Today's the day to sign up for that fighting school you were blabbering about!- QUACK! You're running late! 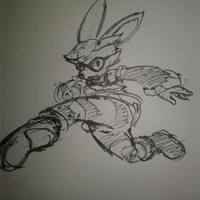 So, rabbit boy's 'gon be an Animal Fighter eh? Can't wait to hear how he mess this up. QUACK!